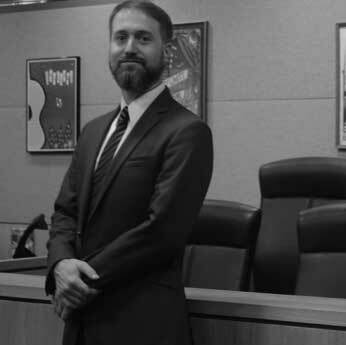 With over 10 Years of Experience, the Keates Law Firm represents the accused on a variety of Criminal Offenses, from DWI, Marijuana and Drug Defense, Theft, Assaults, and other felonies and misdemeanors in Travis County. A hallmark of the Firm's practice is the belief that a client is entitled to be informed of everything that is happening with respect to the client's case. We work closely with each client to promote open communication, empowering Clients with the knowledge and information to effectively assist in the representation of the case. We provide direct access to the Attorney via email and cell phone, and we return calls and will spend the time necessary to ensure you're educated about the criminal justice process and your case options. Track Record of Dismissals and Reductions! Office is just blocks from the Courthouse. Robert has been a criminal defense attorney for over 10 years. He has handled serious felony and misdemeanors in County Courts, District Courts, State Court, and at the federal level. He also practives Juvenile Law. Robert has written extensivly about Texas Criminal Defense at his Austin Criminal Defense Blog. Robert is a husband and father, and enjoys music and traveling when not practicing law. He brews his own beer, plays guitar and banjo, and enjoys carpentry and woodworking when the mood suits him. He has backpacked and traveled throughout Canada, Eastern Europe and Russia, been to almost all 50 States, and can often be seen driving his old 1990 Ford pickup around town on the weekends. Testimonials, and Reviews from Former Clients. Professional Affiliations, Memberships, and other Groups.